This is me at work, dressed in the official Teletrac work uniform. The date that shows on the photograph is wrong. 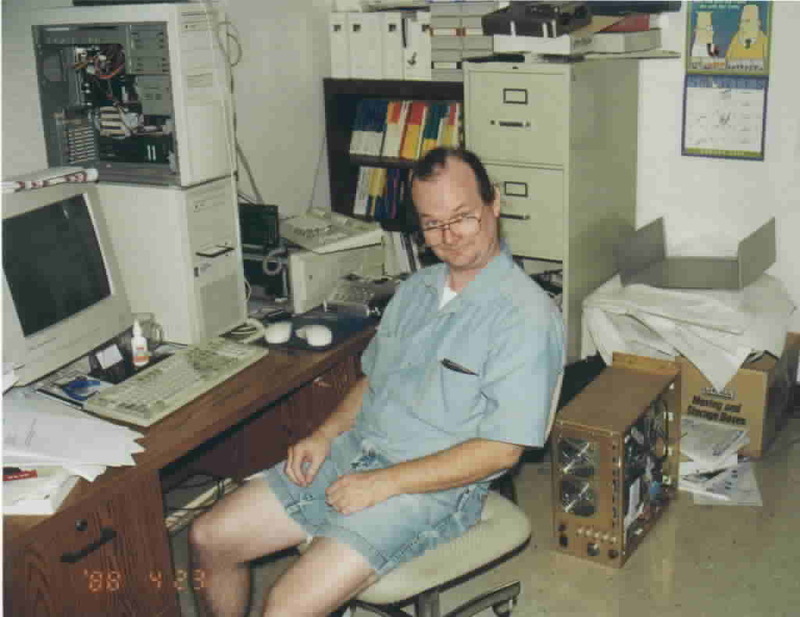 This picture was taken in August of 2001. For proof, there on the wall is a Dilbert Calender (big surprise there, huh!). Right behind me, on the floor, is a 1.5 KW three phase power amplifier for driving 3 phase burshless motors. And, then on my desk, you can see the three computers I use. 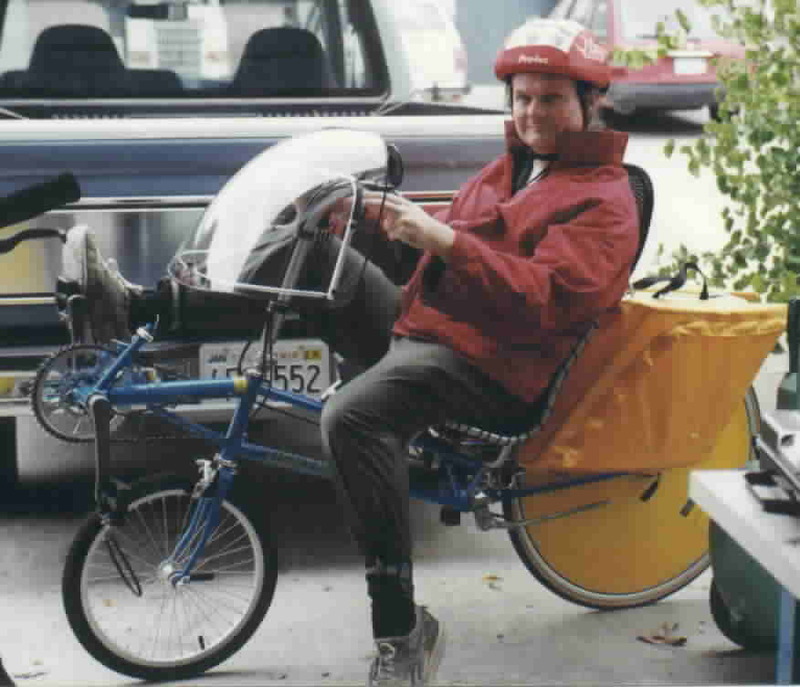 This is a photo of me, on my Lightning P38 recumbent bike. I am not too sure when this photo was taken, but, it could not have been later than 1994. I think it was 1993. It also had to be in the winter, since I was wearing my jacket. The bike was pretty close to being brand new when this photo was taken.